Venkatraghavan from Chennai, Diploma Graduate. PRODUCT COSTING PRODUCT DESIGN AND .. PRODUCT MANAGEMENT ENGINEERING OPERATIONS MANUFACTURER OF CAR ..
are one of expert skill area's of Venkatraghavan . 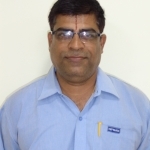 Venkatraghavan is working in Production/Manufacturing/Maintenance industry.